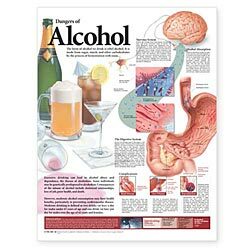 LFA #99696 Chart - Dangers of Alcohol. 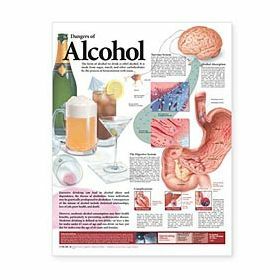 Illustrates and discusses how alcohol affects the nervous and digestive systems and can cause complications such as heart disease, liver disease and issues with reproduction. Shows the process of alcohol absorption. Discusses consequences of alcohol abuse and mentions the benefits of moderate alcohol consumption. Defines intoxication and discusses the different intoxicating effects of alcohol as the concentration of alcohol in the bloodstream rises. 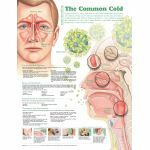 The second edition of this chart has been redesigned for increased visual impact and the text has been updated to include the most current information on cardiovascular effects, the linkage between alcoholics who smoke and the development of cancer, the legal limits for intoxication and more. 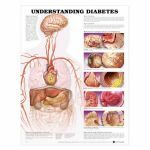 Size is 26" W by 20" H.
All LFA Charts and Posters are designed to a) Provide just the right level of detail, b) At-a-glance format, c) Striking colorful images, d) Enlarged view of key organs or structures, e) Comprehensive and anatomically/medically accurate. 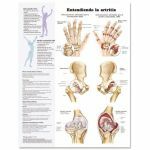 Plastic laminate, 20" x 26" offers flexibility, durability and attractive appearance for medical professionals, patients, students and other specialists. Complete with metal eyelets at top cornors for hanging or portable stand display. "Write-on, wipe-off" surface is perfect for classrooms and professional offices. 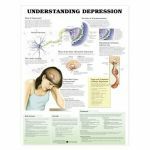 Note: Many charts and posters also available in Spanish (-SP) to meet the needs of an expanding Spanish-language population and for improved communication.